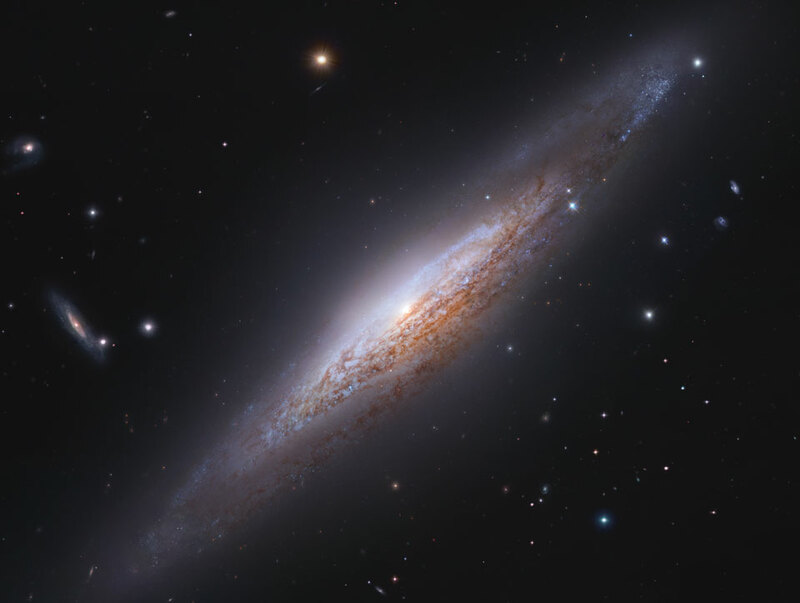 Explanation: Does spiral galaxy NGC 2683 have a bar across its centre? Being so nearly like our own barred Milky Way Galaxy, one might guess it has. Being so nearly edge-on, however, it is hard to tell. Either way, this gorgeous island universe, catalogued as NGC 2683, lies a mere 20 million light-years distant in the northern constellation of the Cat (Lynx). 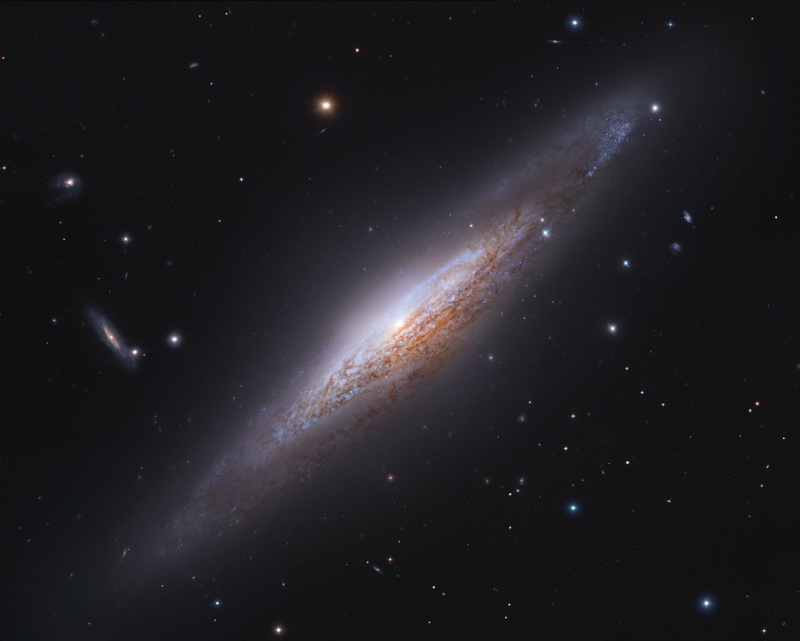 NGC 2683 is seen nearly edge-on in this cosmic vista combining data and images from the ground-based Subaru telescope and the space-based Hubble Space Telescope. More distant galaxies are seen scattered in the background. Blended light from a large population of old yellowish stars forms the remarkably bright galactic core. Starlight silhouettes the dust lanes along winding spiral arms, dotted with the telltale blue glow of young star clusters in this galaxy's star forming regions.